Hundreds of home-schooling families wearing red packed overflow rooms to watch and testify at a public hearing before the Education Committee over fears that a provision in Gov. Ned Lamont’s school regionalization bill will force them to register with their school district and that the information will be monitored by the Department of Children and Families. The homeschool registration provision was buried in two sections of Lamont’s bill to create a school regionalization commission – an idea that already faces significant push back – and comes following last year’s report by the Office of the Child Advocate that some abusive parents used the guise of homeschool in order to hide their abused children from the public eye. The governor’s regionalization bill requires home-schooling parents to register annually in person at their local school district and allows the district to make curriculum recommendations to those parents. The provision, however, does not mention anything about DCF obtaining homeschool registration information, but the government interference combined with Linehan’s comments may have kicked a hornet’s nest. 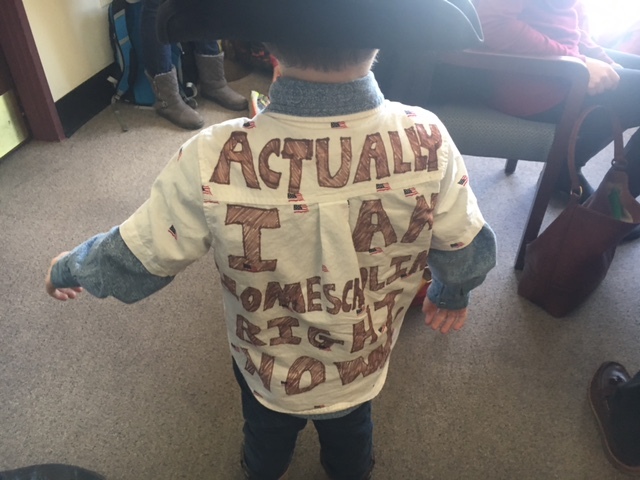 Megan Morgan and Crystal Heft of the Connecticut Homeschool Network, which has 4,000 members, say they firmly believe they have a state Constitutional right to home-school their children without interference by the government. The CT Homeschool Network distributed handouts with a list of publicized arrests of public school teachers and officials for abuse of children to make their point that abuse is not limited to home-schoolers. 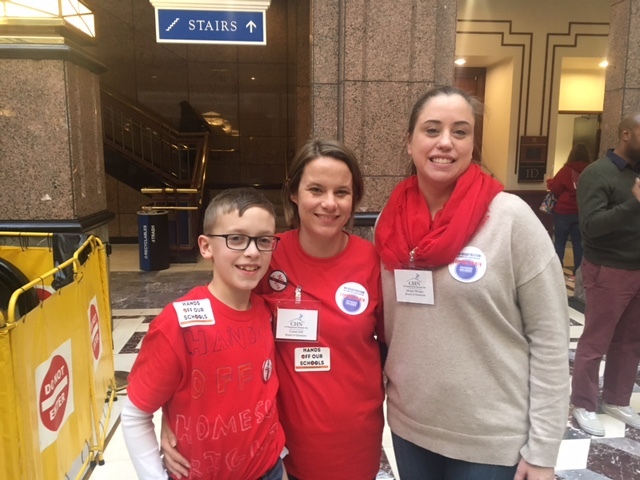 Amy Schwartz, a mother of four who home-schools her children with her husband says, thus far, Connecticut has been very friendly to homeschoolers and that any regulation may drive homeschool families away. 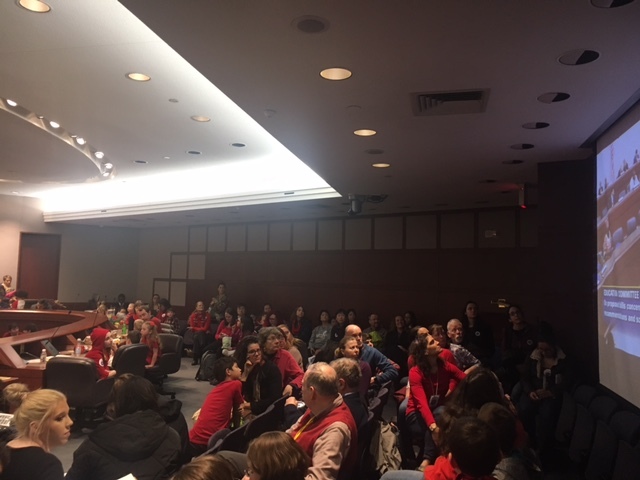 The public hearing required overflow rooms which were packed with homeschool families and a number of other families opposing the idea of forced regionalization of Connecticut’s school districts. Two bills being heard before the Education Committee would force smaller school districts to merge with larger districts, however those bills have not yet been drafted. Rather, it is the governor’s bill which is drawing the most concern from home-school families. The mass showing before the Education Committee mirrors a 2018 public hearing in which hundreds of Asian-American families turned out to support a bill which would ban further disaggregation of student ethnic data beyond federal requirements. Home-school groups believe the addition of the home-school provision in the governor’s regionalization bill was an attempt to sneak a new regulation past them by burying it in a bill which would otherwise not affect them. I am familiar with many home schoolers in Conn. Because of my daughter and her 8 home schooled children. In my varied relationships with them, I have found home schooled parents more involved and more caring of their children. What could be better than having a parent full time. They are taking their responsibility seriously. They have chosen not to leave child rearing to the state. I don’t see the need to register with the school district, so long as the parents can handle teaching their children, and as long as they are meeting the guidelines set forth for that child. If, on the other hand, DCF knows that there is a problem of abuse or even suspects that a child is being abused, then yes, a certain degree of monitoring needs to take place. In any case, I’m guessing that this is just another way for the government to find out more info on the family. The suggested changes in statute were instigated by DCF and the Office of the Child Advocate in a desperate effort to deflect their OWN failures in the death of Matthew Tirado who WAS NOT HOMESCHOOLED. Over 84% of abuse deaths are of children below school age – should every American parent have to “register” because they MIGHT be an abuser? It is estimated that AT LEAST 10% of American public school children are the victims of physical or sexual abuse AT SCHOOL by school personnel or other students. Our kids are safer that yours and (using YOUR standardized testing) better educated than yours. Leave us alone. The government should continue their present relationship with homeschoolers. If it ain’t broke ….